Researchers at the University of Cincinnati have found that children with asthma are successfully managing their symptoms using complementary and alternative medicines and practices like prayer and relaxation. This research adds to a growing body of research that could help doctors and community health care providers gain insights in to helping a community of children self-manage their asthma. Children living in urban centers in the United States are more likely to suffer from asthma than their suburban or rural peers. The field of pediatrics has been working on ways to help these youth live better lives despite their condition. 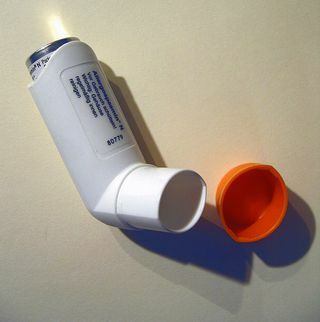 Traditional treatment methods such as using inhalers or the pill form of asthma medications are effective at dealing with the physical symptoms. But we also know that asthma can undermine a child’s experience of daily life. Every day they are burdened with the need to manage their physical health. They must live in complete awareness of what’s happening in their bodies at all times because they may or may not know when or where the next asthma attack may happen. The need for coping skills is critical for their overall well-being – and spiritual and alternative approaches were found to have significant benefits for asthmatic children. Dr. Sian Cotton assistant professor in the department of family and community medicine at UC, wanted to find out how children living in urban communities manage the physical, emotional and spiritual costs of asthma. Dr. Cotton and colleagues examined two issues in their study. First, they wanted to know the ways that youth used complementary and alternative medicine, known as CAM, strategies to manage their asthma. Second, they looked at the spiritual struggles that youth went through as they tried to manage their condition and how this all may or may not have an impact on their overall quality of life. The study surveyed 151 youth ages 11 to 19 at a children’s hospital in the Midwest. The questions assessed spiritual and secular coping and CAM use and gathered information on mental health, social and clinical issues. The results showed that African American males who reported experiencing spiritual struggles but used negative secular coping methods had worse outcomes for quality of life. Non-African American youth who struggled spiritually and had more severe asthma reported a higher level of anxiety. Overall, non-African American and girls had higher levels of depression. When it came to coping with and overcoming these problems, the researchers found that CAM and spiritual coping is an important part of improved physical, mental and spiritual health for many of these kids. Spiritual coping included using prayer as a way to help during the hard times. This is similar to another study that looked at how children with sickle cell disease dealt with the severe pain of flare ups. And is supports additional research that shows how spirituality helps youth cope with other chronic illnesses. CAM includes using methods such as meditation, mind-body therapies, and alternative medicines. Seventy-one percent of the youth in this study also reported that they used prayer, relaxation, guided imagery, meditation, yoga, massage, herbs, vitamins, rubs and diet changes as a way to cope. Sixty-four percent reported using relaxation and 61% used prayer. Each of these methods were reported to be effective as way to deal with their asthma. This is an excellent example of how the mind-body integrative approach to health and well-being can lead to positive results in health. Medication is just one part of the process to improvement in overall symptoms but techniques that encourage people to connect with their bodies through meditation and relaxation are proving to increase outcomes even more than just meds.